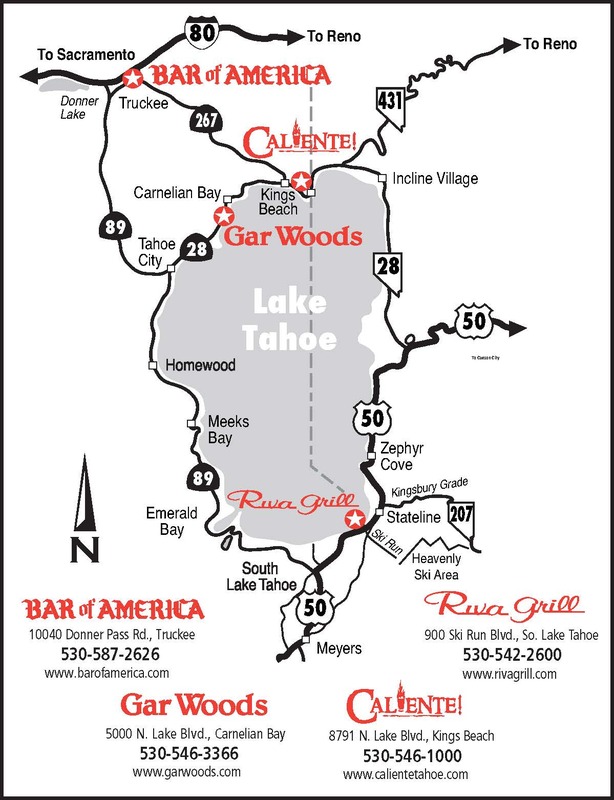 Since 1988 Gar Woods Grill & Pier has been the premier North Lake Tahoe waterfront dining destination. Located in Carnelian Bay, our floor-to-ceiling windows, large deck and balconies provide breath-taking views of Lake Tahoe and the Sierras. Gar Woods Grill & Pier is an upscale casual restaurant that accommodates groups of 160 just as easily as groups of two. Our Chef has created a menu highlighting California cuisine, hand cut steaks and fresh Pacific seafood, served in our fun-in-the-sun atmosphere. The wine list is a collection of California's best known vintners featuring more than a dozen wines by the glass. Enjoy Tahoe's warm summer days sitting on our waterfront deck while sipping on a world famous Wet Woody. With over two million sold you'll be in good company but come early to get a seat. When visiting during the ski season, thaw out in front of our cozy river rock fireplace with a Warm Woody or a Heavenly Bottom.